2. 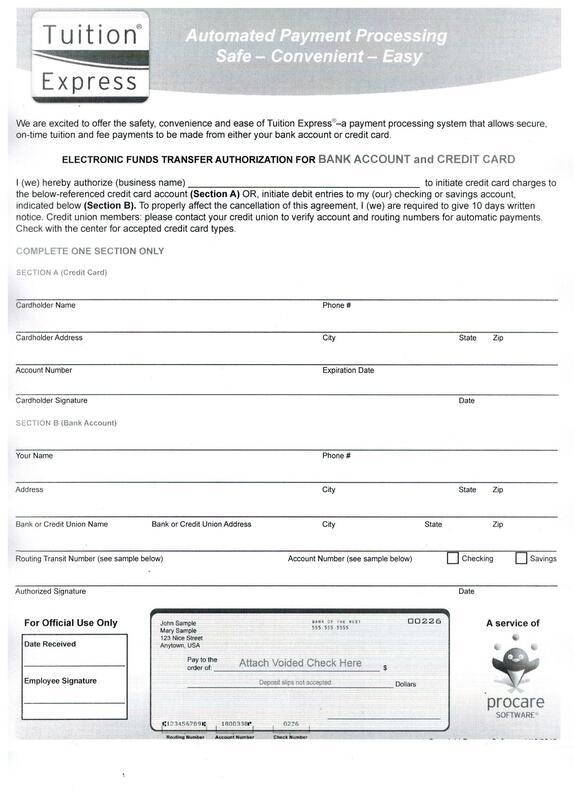 Return the completed forms to the school with the non-refundable application/supply fees. 3. 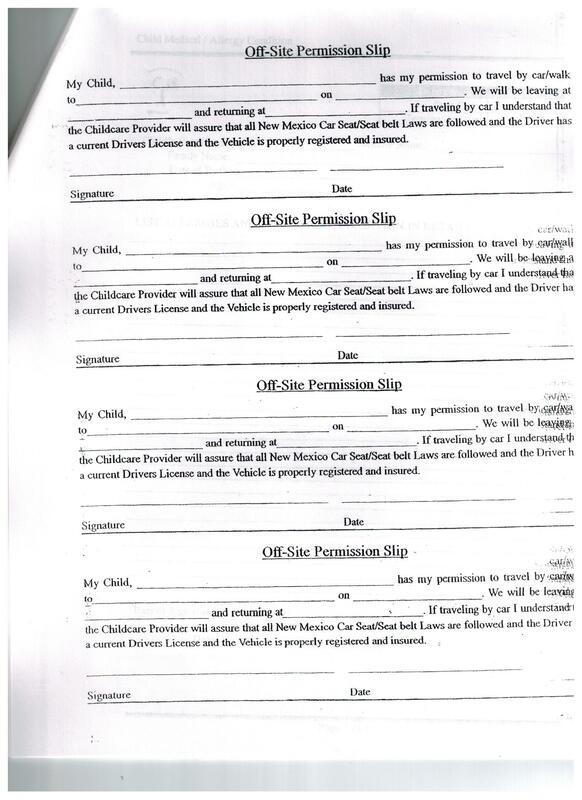 Obtain a copy of the child's immunization record. Note: Students cannot be officially enrolled until the forms, fees, and immunization record are received and reviewed by the administration. 4. Once your child is enrolled, the first month of tuition is due including NM gross receipts tax. 5. 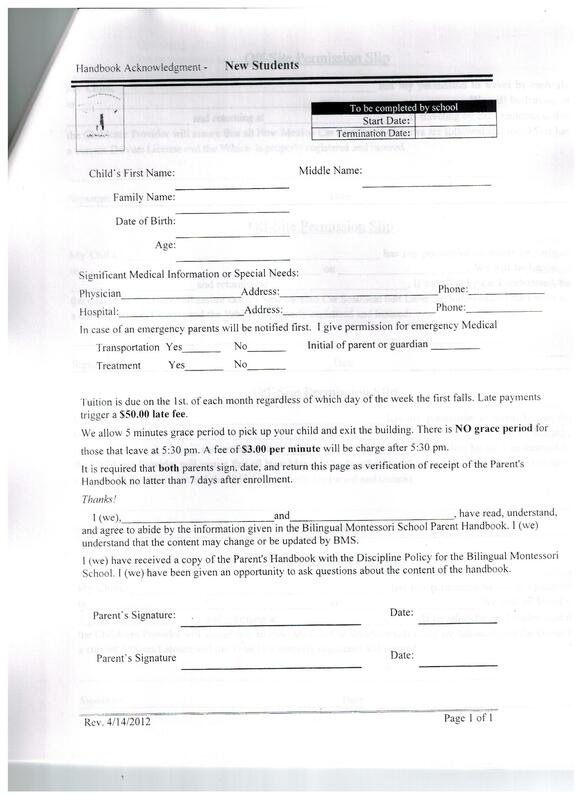 You will be given a copy of the parent handbook, which contains official school policies and procedures. 6. Please read the handbook, sign the Handbook Acknowledgement form and return it to the school office. Is there space for my child? If there is space available, your child will be assigned to a classroom. 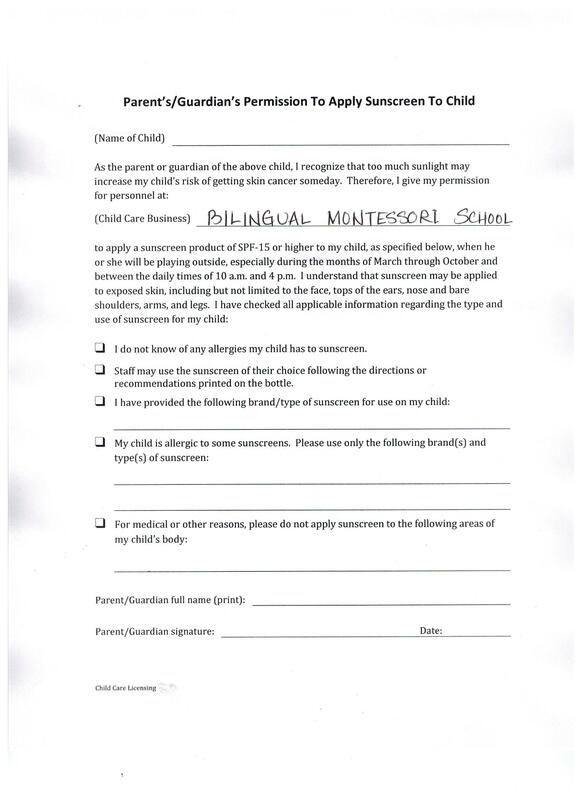 Children currently enrolled and their siblings are given admission preference. 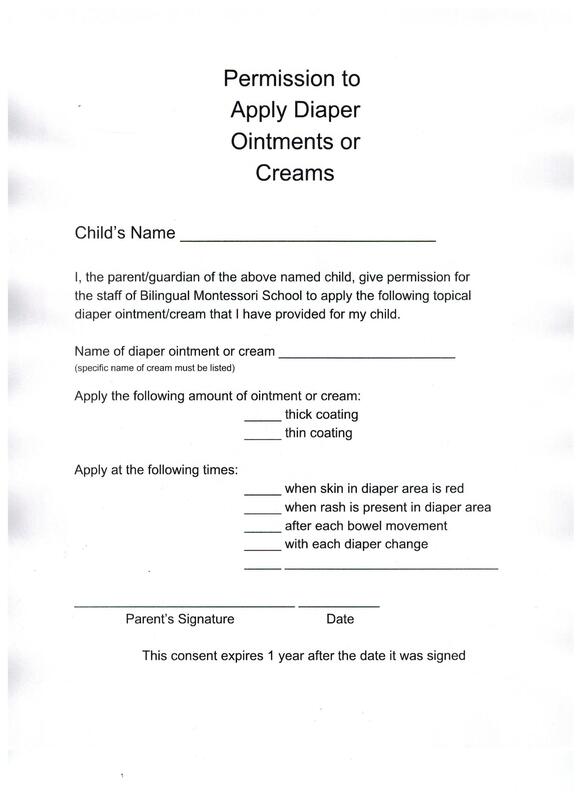 Consideration is also given to the age balance of the class when admitting new children. If there is no space available at the time of enrollment, you can ask to be put on the waiting list. Please note in the fees, supply fees cover high quality Montessori materials that are essential for a true Montessori experience and we pride ourselves in choosing only the finest consumable products (paint, clay, markers, pencils, paper etc.) in our classrooms. Dr. Montessori believed that if children were able to experience well-made, beautiful materials in their classroom environments, they would learn to appreciate these intrinsic values in the world around them as well.